Dog owners living in a Burnaby., B.C., apartment building are raising a stink after they were told to provide a stool sample from their pets or face eviction. Some dog owners living in a Burnaby, B.C., apartment building are raising a stink after they were told to provide a stool sample from their pets or face eviction. The landlord of the building in the 7400 block of 14th Avenue issued the letters to about 30 dog owners early Sunday morning, after somebody's pet left an anonymous sample in the building's stairwell — for the second time. The landlord is looking for the offending dog, and if tenants don't submit a solid sample for DNA testing, it would be an "admission of guilt" and a "reason for immediate eviction," the letter said. 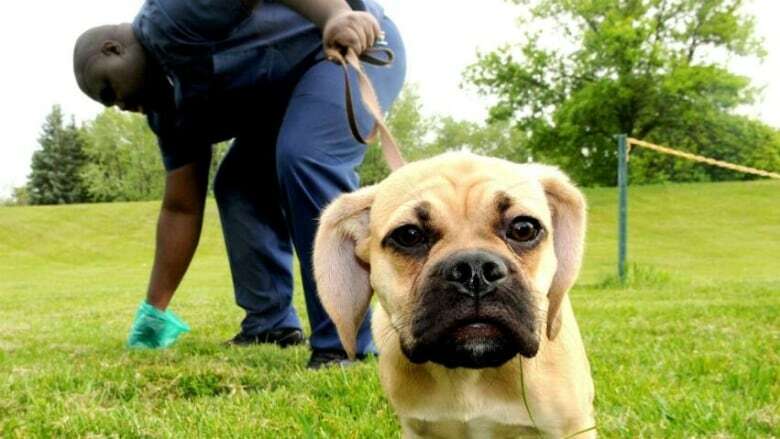 A company called PooPrints offers DNA matching services to apartment and condominium communities as a way to crack down on rogue pooches. Tenant Daniel Charlie got one of the letters, along with a plastic bag for the sample. "They even put if you deny the sample, they can evict you, How can they do that? I don't know, especially for dog poop," said Charlie. Tenant Claude Paulin-Dupere said the landlord is asking for too much. "I am going to fight this until I can't no more. I think it is a pretty big invasion of privacy." The Tenant Resource & Advisory Centre said the owner of the offending dog could be evicted if caught, but unless there was specific language in the lease, a tenant cannot be evicted for not providing a sample. Lisa Mackie, strata property and residential tenancy lawyer, agreed. "It is frustrating for landlords when it's evident one tenant or more are breaching terms of a tenancy agreement ... Unfortunately the onus is on the landlord to establish that a tenant or multiple tenants are in breach of their tenancy agreement," said Mackie. Take the poll: Should dog owners be forced to provide DNA samples of their mutts? 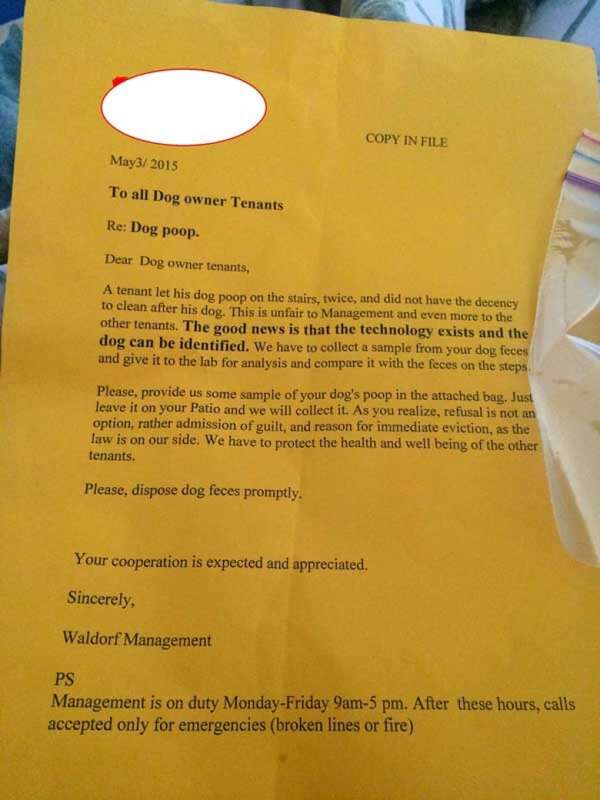 Can dog owners be evicted for not supplying dog poop samples?